At this point, we’re rapidly approaching the release of Assassin’s Creed Odyssey, and it’s certainly shaping up to be the series’ most epic entry yet. The adventure will take you all over Ancient Greece, and this trailer gives you only a glimpse of what you’ll encounter on your (wait for it) odyssey. 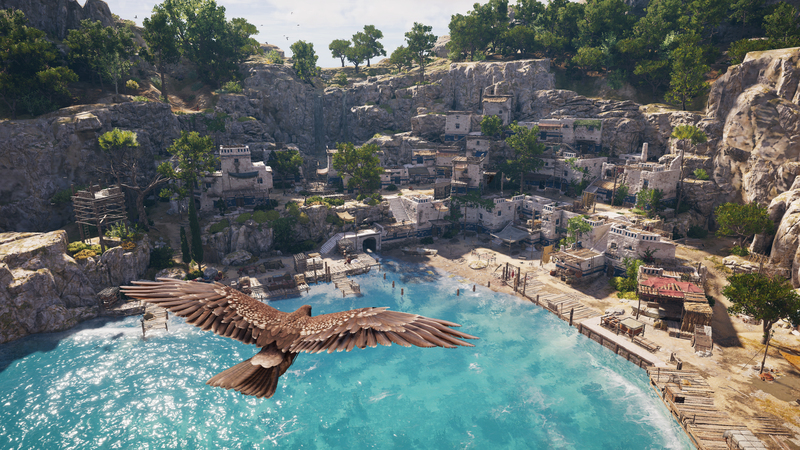 The trailer focuses on Alexios, the male playable character in Odyssey. A descendant of Leonidas, he learns he must unite the people of Greece. Of course, this is all the same if you choose to play as Kassandra instead. Combat is a big part of any Assassin’s Creed game, and this trailer isn’t short of it. We get glimpses of stealth, horseback combat, and some good old sword fighting. There’s also a look at some of Assassin’s Creed Odyssey’s more tender moments, including a peek at what looks to be a potential romance blossoming. We also get a look at some of the more mythical elements of the game, including everyone’s favorite Gorgon, Medusa. The trailer ends with Alexios perched high above the city below him, which is pretty standard Assassin’s Creed fare. If you already can’t get enough Assassin’s Creed Odyssey, you can get the season pass, which includes Assassin’s Creed III remastered. Assassin’s Creed Odyssey releases on October 5, 2018, and will be the last entry before the series takes 2019 off.